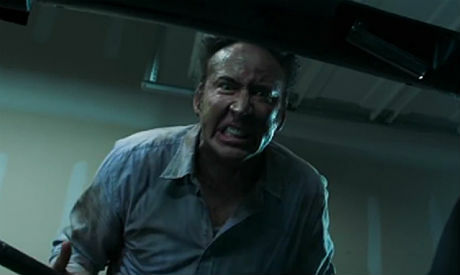 Horror film Mom and Dad starring Nicolas Cage and Selma Blair was released in in Egyptian cinemas on Wednesday. A pair of youngsters must survive a suddeny outbreak of mass hysteria which causes parents, including Cage and Blair, to turn on their own children. Mom and Dad is being shown at the following Cairo cinemas: Golden Stars in Heliopolis, Sun City in Heliopolis, Galaxy Mall of Arabia in 6 October, Stars in Heliopolis, Americana Plaza in 6 October, Mall of Egypt in 6 October, Cairo Festival in 5th Settlement, Point 90 5th Settlement, and Cairo Festival in 5th Settlement. In Alexandria the film is being screened iat the Cineplex Green Plaza, VOX City Center, Amir, and in Port Said at Cinema El Karwan.